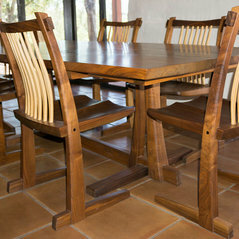 John Spivey is a studio furniture maker who lives in Santa Barbara, California. 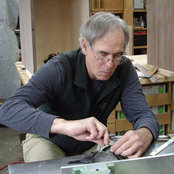 His work is executed in North American hardwoods--primarily walnut, maple, and cherry. Much of the work utilizes flitch cut boards that retain the natural edge. Spivey's design inspiration lies in the flow of lines within Japanese brush calligraphy and within sumi-e painting. The unadorned lines live in dynamic relationship with the grain of the wood and with the flow of the natural edge in an effort to express the soul of the tree in relationship to the soul of the maker.